On receiving a grant from ‘Hope for the Young’ Ismail was able to attend the second year of his LLB Law degree. His dogged determination, in the face of so many obstacles, to secure this funding is an amazing inspiration for all young refugees across the UK. “I believe education is the key” says Ismail, “that will open my future and be the catalyst which enables me to break free from the cycle of deprivation and poverty which has defined and dominated much of the previous years of my life.” Ismail’s personal struggle and his belief in the power of education embodies everything that we try to achieve for our students at Hope for the Young. 21-year-old Ismail was sent to the UK to stay with his extended family when he was 9. Sadly, he was later abandoned. Ismail, like most typical boys growing up in the East end of London, has never perceived himself as an alien in a strange land. “Everything I am, all my friends, my future goals and inspirations are all here in the UK. I am deeply privileged to be part of this society” Ismail says proudly. Even though Ismail has this strong sense of British identity he has been classified by the authorities as an ‘undocumented migrant.” This deceptively benign, yet very damaging classification put Ismail’s life on a painful trajectory that was to affect his whole future. This daily struggle became even more acute in his later teenage years when time and time again he was unable to secure funding for his LLB Law degree at University. To his despair and frustration Ismail persistently found that his classification, like a terrible curse, disqualified him from many public and charitable foundations [To read further click here]. Ismail’s persistent research and hard work eventually paid off as he was awarded a scholarship for his tuition fees. But Ismail was still finding it extremely difficult to cover other living expenses such as food, travel, books and medication. Ismail was reluctantly having to consider dropping out of university. “The situation was absolutely beyond my control” says Ismail, “and no matter how hard I tried there was nothing much that I could do. I was finding it very difficult to function.” Sadly, the situation was taking a huge toll on his mental and physical health. 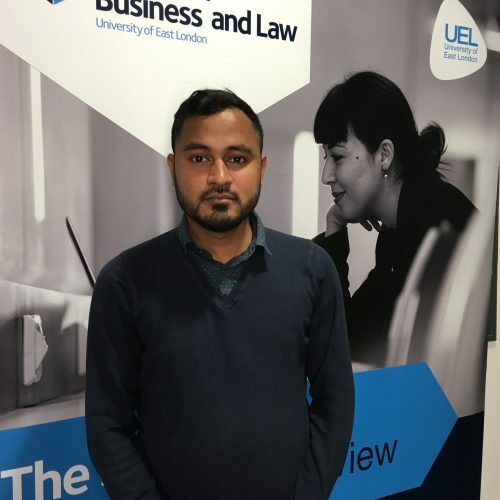 After completing university, Ismail’s burning ambition is to practice as a solicitor specialising in the field of immigration. Ismail wants to employ his own knowledge, skills and expertise to help people like himself overcome the fiendishly complex immigration system. Admirably Ismail wants to help people like himself. To help us support more students next year please DONATE and help Ismail and others continue to finish their studies, achieve their hopes and fulfil their true potential.